Prince George and Princess Charlotte were left 'disappointed' when they weren't allowed to attend a Christmas party at Kensington Palace with mum Kate and dad William. Christmas is right around the corner, and the Cambridges are really getting into the holiday spirit. William and Kate organised a festive celebration for the families for military families at Kensington Palace, one day before flying over to Cyprus to meet the men and women stationed there and taking their families’ cards and presents with them. The party was at the Palace where they live with their three children, however it seems the little ones missed out on an invitation. It’s though both George and Charlotte were at school at the time, but there’s another reason they weren’t there. 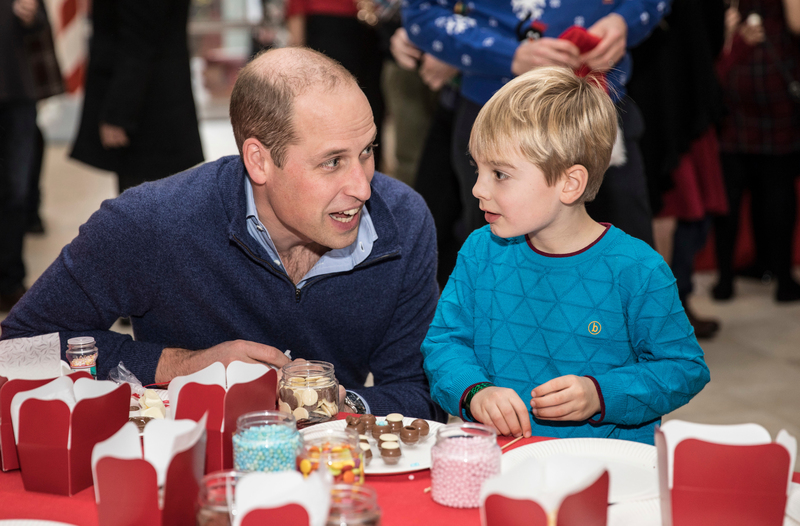 When asked why the little royals were involved, William confessed to one of the guests that the kids didn’t come along because he ‘can’t do this and look after the children’ – very relatable Wills! After they got back from school, Kate and William still tried to give their kids a little festive cheer but everything had been cleared up. And we get why, because it sounds like quite the party: ‘It was very kiddie friendly’, the Duchess said in Cyprus. So George and Charlotte missed out on all the sweets and the snow making machine… We’d be disappointed too! It’s been confirmed the family will be spending Christmas at Sandringham with the Royal Family, so George and Charlotte will have plenty of Christmas decorations to get them in the festive spirit.